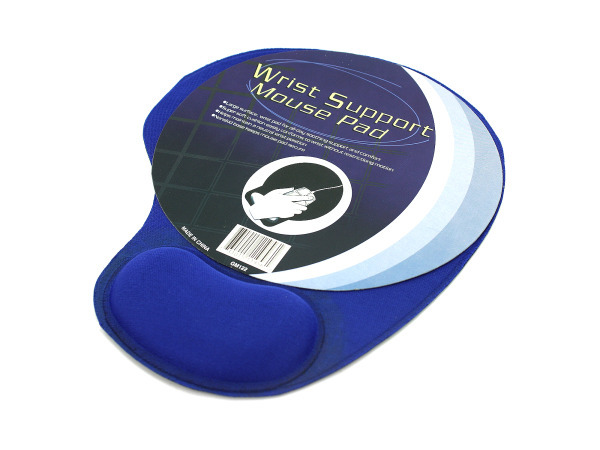 Great for all day soothing, this Wrist Support Mouse Pad easily conforms to wrists without restricting motion and helps maintain a neutral wrist position. The non-skid base keeps mouse pad securely in place. Comes in assorted colors. Measures approximately 7.75" x 9". Comes packaged in a hanging poly bag.